There are a lot of competitors out there for the title of best kids’ tablet – there’s the LeapPad Ultra, InnoTab 3 and Galaxy Tab 3 Kids, of course. 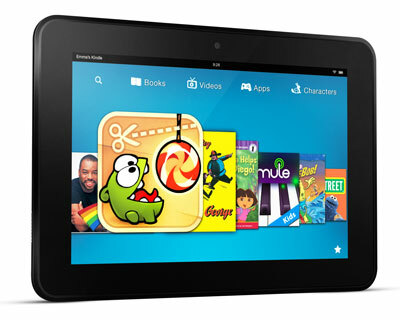 But Amazon's Kindle Fire has plenty of serious kid cred too with its powerful Kindle FreeTime parental controls suite. Now, Amazon has announced a coming improvement to FreeTime, giving you the power to require kids to get in learning time with the tablet before they can unlock and play games with its new Learn First feature. With the new Learn First feature, you can set your Kindle Fire to require your kids to get in a certain amount of reading time per day before they can access games. Alternatively, you can set goals for using educational apps instead. FreeTime also now comes with a new Bedtime feature, which automatically turns the Kindle off at your child’s bedtime. You’ll also be able to set time limits for weekdays that are separate from time limits for weekends to keep the Kindle from chewing into homework time. Current Amazon Kindle owners will see the update to FreeTime come in the coming weeks “just in time for the holidays.” The large Kindle Fire HDX 8.9” currently sells for $379, the smaller-screen Kindle Fire HDX 7” starts at $229 and the bargain-priced 7” Kindle Fire HD is available for $139. Personalized photographic Kindle Cases are also available for $44.99. For more on the Amazon Kindle, check out our past coverage on the tablet or visit Amazon.com/kindle.